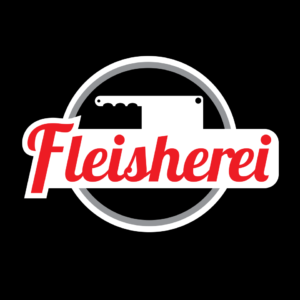 at our Fleisherei Braai Day event!!! 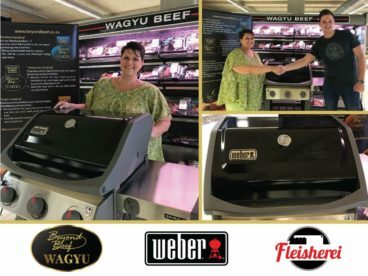 Beyond Beef Wagyu is giving away a brand new Spirit E310 Weber gas braai, worth R12,000, at the Fleisherei Braai day event on the 24th of September 2018. 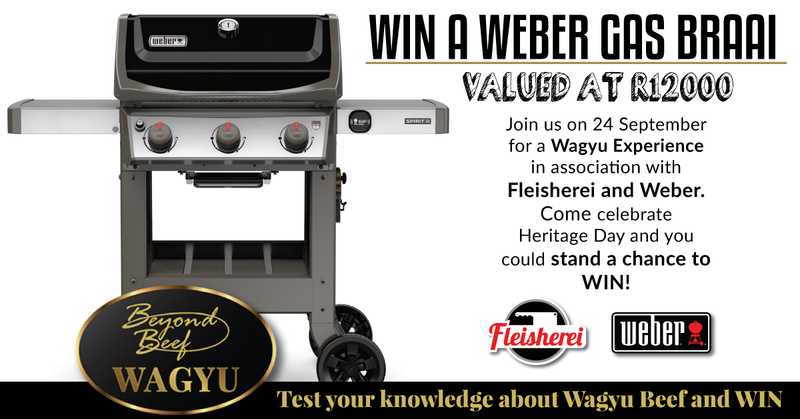 To stand a chance to win this amazing prize, you simply need to answer 3 easy questions about Wagyu. Familiarise yourself with the 3 easy competition questions below. 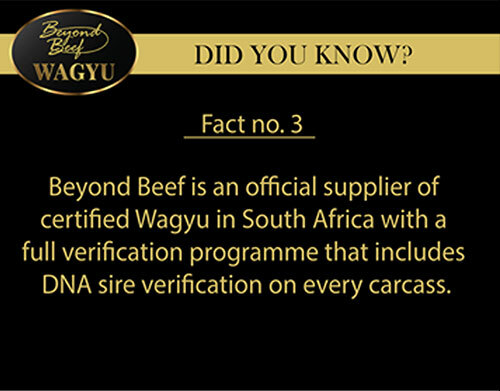 Visit our Beyond Beef Wagyu Facebook page OR www.beyondbeef.co.za for posts that contain the answers. A copy of your entry will be emailed to your address provided. Please print this email and hand it in at the Beyond Beef stand at the Fleisherei Braai Day event on 24 September 2018. 1. 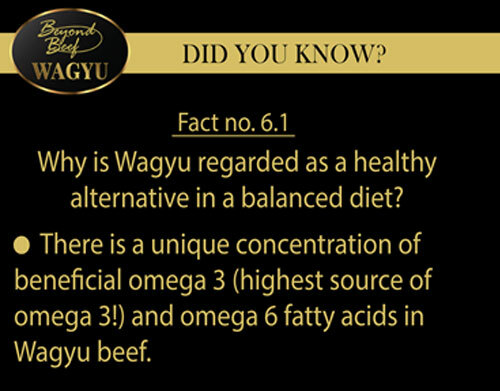 How do you know Beyond Beef sells authentic Wagyu? 2. Where can you buy authentic Wagyu? 3. 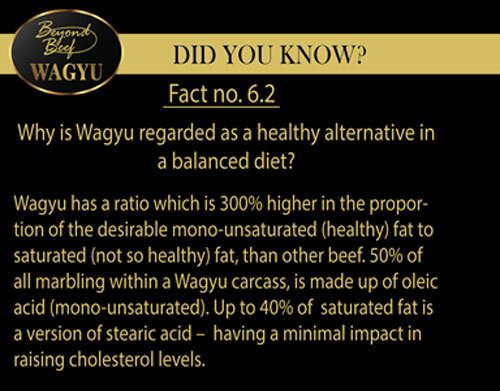 Why is Wagyu healthier than any other protein you can eat? This competition runs during the month of September 2018. Entry forms need to be completed and handed in on the day. Terms and conditions apply. This competition is open to people of 18 years and older, except directors, members, partners, employees of Beyond Beef / Fleisherei / Weber and/or their spouses, parents, children or families. The competition will run during the month of September 2018. The questions and answers can be find on Beyond Beef’s website at www.beyondbeef.co.za, go to About and then Competition. 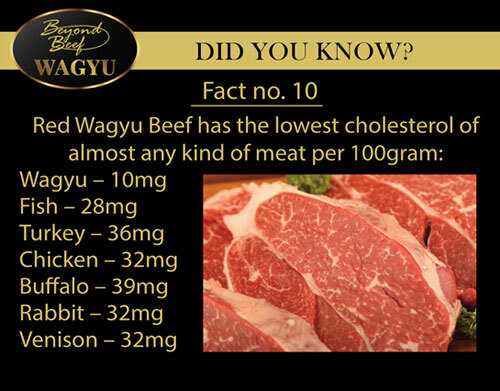 You can also find the answers on our Facebook page at Beyond Beef under the Fun Facts. LIKE our Facebook page to qualify for entry into competition. Correctly complete an entry form at the Beyond Beef stand at the Braai Day event on 24 Sept 2018 at Fleisherei – place in the entry box. The winners will be notified via email and/or telephone on the 25th of Sept 2018 after a winner has been drawn . 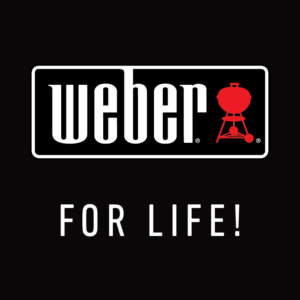 1 winner will be randomly drawn from the entry list and will receive 1 x Beyond Beef branded gas braai WEBER unit. The prize must be collected, during business hours, from the Fleisherei Brakfontein Deli between 26 Sept and 5 Oct 2018. If the prize is not collected within the specified period the winner will forfeit their prize. The prize is not exchangeable for cash or transferable to another party. 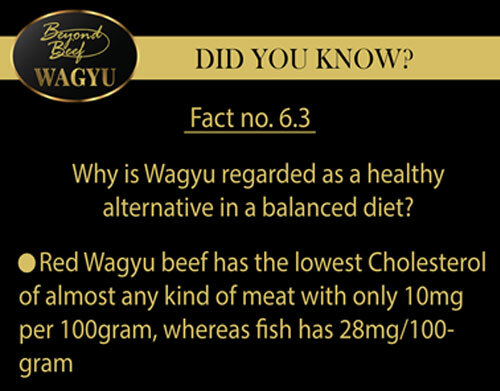 Beyond Beef Wagyu reserve the right to cancel any prize in the event where any of the winner’s actions may be fraudulent in respect of the entry to this competition. 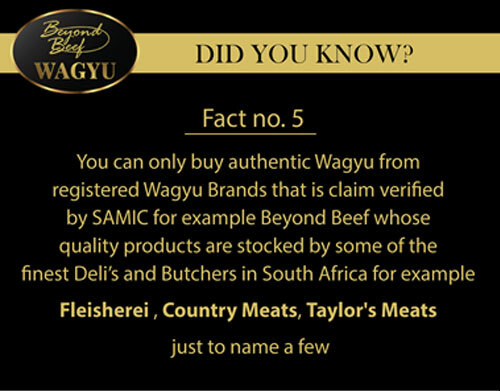 The winners’ names will be made public and the winners give their consent for Beyond Beef Wagyu, Fleisherei® and Biltong@ZA® to publish their names in the media.